Avery Elle: Celebrate with Heather & JJ! Today we have JJ showing us this gorgeous card using our Celebrate and Petals & Stems stamp sets. 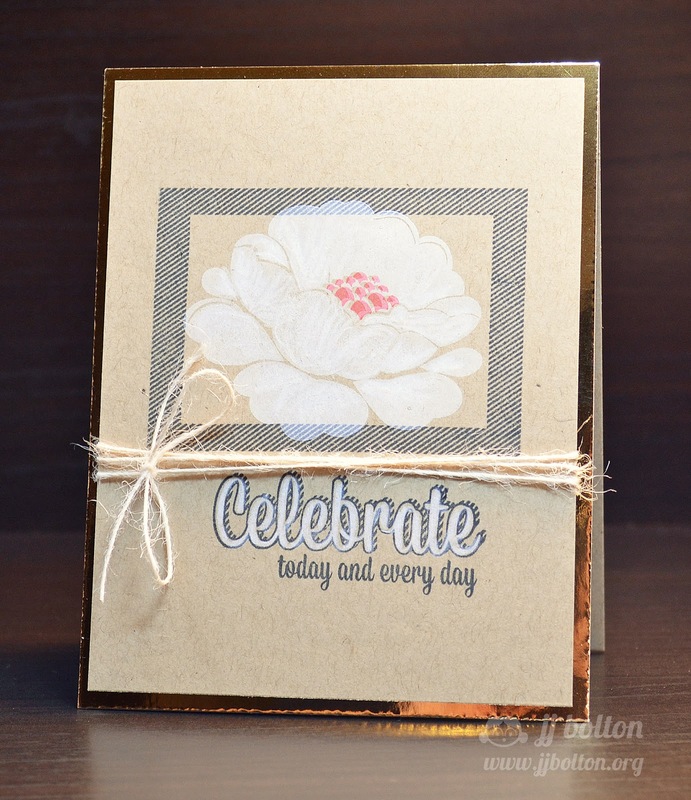 I love the contrast of the jute twine and gold metallic card stock. So unexpected and pretty! Heather created this bold and graphic card using our All Squared Up stamp set. The positioning of the enamel dots, sentiment and traingle images is so fun and interesting! I just love the versatility of this stamp set! That twine on the first card is the perfect finish!